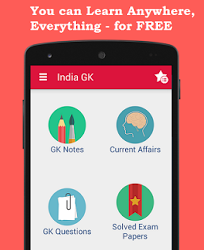 7th, 8th December 2016 Current Affairs MCQs, Quiz, Questions: Current Affairs for December 2016, Daily Multiple Choice Questions (MCQs) for India GK, World GK and current affairs with Collection of daily objective type Question by www.Indiagk.net based on General Knowledge (GK) and General Science (GS) Questions for UPSC, State PSC, SSC, Police exam, Railway exam, SBI, Bank PO, IBPC, SSC, LDC, UDC, Army, Airforce, Navy, Coast Guard, Bank Clerk, TET and all entrance examination with current affairs News, Multiple Choice Questions (MCQs) available on Website www.IndiaGK.net and Android Apps with daily updates:. Who has been appointed as the new Chief Justice of India (CJI)? ISRO on 7th Dec launched which earth observational satellite? TIME Magazine on 7th December named whom as its Person of the Year? Veteran Journalist Cho Ramaswamy died recenlty. He was Rajya Sabha Member from ---- ? Which state is all set to become the first state in India to implement the Real Estate (Regulation and Development) Act, 2016?